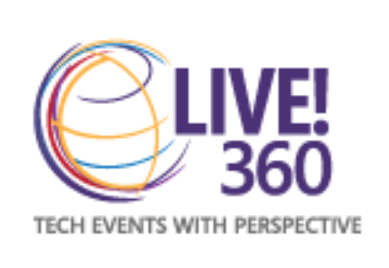 Heraflux is proud to contribute to this year’s Live360 conference, to be held in Orlando Florida at the Royal Pacific Resort at Universal from December 2nd to 7th. David Klee is presenting two sessions at this conference. The first is Thursday in room SQH01 called “Cosmos DB for SQL Server Pros” at 8:00am. Microsoft’s Cosmos DB is the first globally distributed database service, allowing low-latency scalability across multiple geographical regions. As a SQL Server pro, why does this matter? SQL Server is a great multi-function database that can handle many of your tasks with ease. However, it’s not the only tool in the toolbox, and Cosmos DB is a tremendous alternative for some use cases. This introductory session explores Cosmos DB and walks you through the similarities and differences in the two platforms. We explore how to provision and design your database, insert sample data and query for specific records. We’ll review the scalability and throughput settings, and help you ramp up your DBA and development skills on this compelling new platform. Just after this session completes on Thursday, the next session is called “Level Up Your SQL Server Cloud Skills” in room SQLH05 at 9:30am. Think infrastructure in the cloud is still just for sysadmins? Think again! As your organization moves into the cloud, infrastructure architecture skills are more important than ever for DBAs to master. Expert knowledge of cloud-related infrastructure will help you maintain performance and availability for databases in the cloud. For example, know what an IOP is? Should you use a Database as a Service or provision a cloud-based virtual machine? How many compute resources does your database consume during a given day? Can you secure it properly? Come learn many of the key cloud infrastructure points that you should master as the DBA role continues to evolve! Register for this exciting conference today! We look forward to seeing you there! 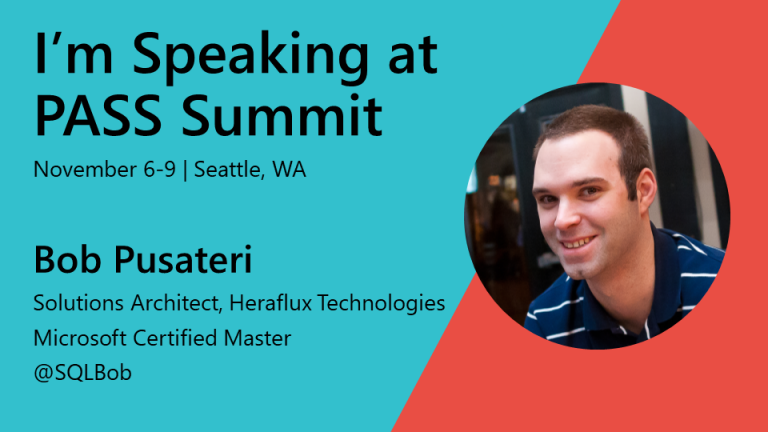 Heraflux is thrilled to announce our contributions to this year’s PASS Summit to be held in Seattle, WA held November 6-9th at the Washington Conference Center. Both David Klee and Bob Pusateri are presenting sessions this year. Stay tuned for more details! What a whirlwind year this has been! I’m thrilled to invite you to my sessions at this year’s PASS Summit, happening this week in Seattle WA. Tuesday 11:30am to 1:00pm I’m part of the cloud availability panel over lunch at the SentryOne Data Day precon at the Summit. I hope you already registered for this exciting opportunity to learn more about performance and availability-related topics in this whole-day discussion. Next, for those of you that still have your mission-critical workloads in your on-premises datacenter (or even for those who have them in the cloud, because almost all of the topics directly apply! ), come to my session Wednesday morning at 10:45am entitled “On-Prem SQL Servers, Interstellar Performance“. This deep-dive on virtual SQL Server performance will help you squeeze the most performance from your virtualized SQL Servers, and will help you communicate with your infrastructure team on things that matter the most to performance-oriented SQL Servers. You’ll be sure to have quite a bit of real-world tips and tricks to take back to the office as soon as you return from the conference. Thursday morning I’m part of the SIOS PASS the Bacon breakfast panel, where we’ll get a good chuckle while we discuss a number of topics pertinent to today’s DBA, such as availability both on-prem and in the cloud, disaster mitigation and preparation, and other availability topics. Come register here, get a great breakfast on the house, and learn while you laugh! Next, Bob Pusateri and I have a session Thursday afternoon called “SELECT STARS: A SQL DBA’s Introduction to Azure Cosmos DB”, where we discuss and present Microsoft’s new Cosmos DB offering on the Azure platform. This platform is a completely different model of databases than what most SQL Server professionals are accustomed to, and we’ll give you the details you need to expand your horizons and learn about this exciting platform. This session is more of the ‘what’ session to get you amped to learn more about the platform on Friday. Friday my final session of the conference is entitled “Cosmos DB for SQL Server Pros”, designed to give you more of the ‘how’ when continuing your exploration of Cosmos DB. Bob Pusateri and I will share more of the use cases, scalability details, and live code demos of how to access and alter data in a Cosmos DB database. I hope to see you at the show! If you want to sync up and talk geek, make sure to ping me to set up some time over your favorite form of caffeine. I’ve been honored to present a session at PASS Summit for the past few years, but this year I am especially humbled as I had not one but two abstracts accepted! The first is an introduction to Azure Cosmos DB. 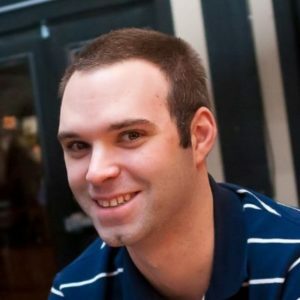 The other is covering some of my favorite SSMS and T-SQL tips and tricks that can help you save time! Azure Cosmos DB has quickly become a buzzword in database circles over the past year, but what exactly is it, and why does it matter? This session will cover the basics of Azure Cosmos DB, how it works, and what it can do for your organization. You will learn how it differs from SQL Server and Azure SQL Database, what its strengths are, and how to leverage them. We will also discuss Azure Cosmos DB’s partitioning, distribution, and consistency methods to gain an understanding of how they contribute to its unprecedented scalability. Finally, we will demonstrate how to provision, connect to, and query Azure Cosmos DB. If you’re wondering what Azure Cosmos DB is and why you should care, attend this session and learn why Azure Cosmos DB is an out-of-this-world tool you’ll want in your data toolbox! Do you spend a considerable amount of time in SQL Server Management Studio? Are you always in search of ways to write better code with less effort? Attend this session to see demonstrations of all the helpful gems SSMS has hiding in plain sight that will save you keystrokes, mouse clicks, and time while getting your work done. We will also cover useful T-SQL Scripts to make common tasks easier and faster, and solutions to frequently-encountered coding problems. Whether you’re a developer or a DBA, whether you do your work on-premises or in the cloud, attend this session to learn how easy it is to write better T-SQL code and save the day, all while working smarter, not harder! PASS Summit starts in a little over a month, and if you’re thinking this sounds pretty awesome, registration is still open! The program committee has put together an incredible schedule combining top presenters from all aspects of the Microsoft Data Platform. On top of that, opportunities for networking abound. While the sessions are awesome, the community is PASS Summit’s greatest asset. You really don’t want to miss this. Even if you can’t attend, be sure to follow me on Twitter (@SQLBob). I’ll be sharing plenty of updates and photos from throughout the conference. Even if you can’t experience PASS Summit in person, by following myself, other community members, and the #PASSsummit2018 hashtag, you can get a great virtual experience. This post was originally posted on Bob’s personal blog over at bobpusateri.com. 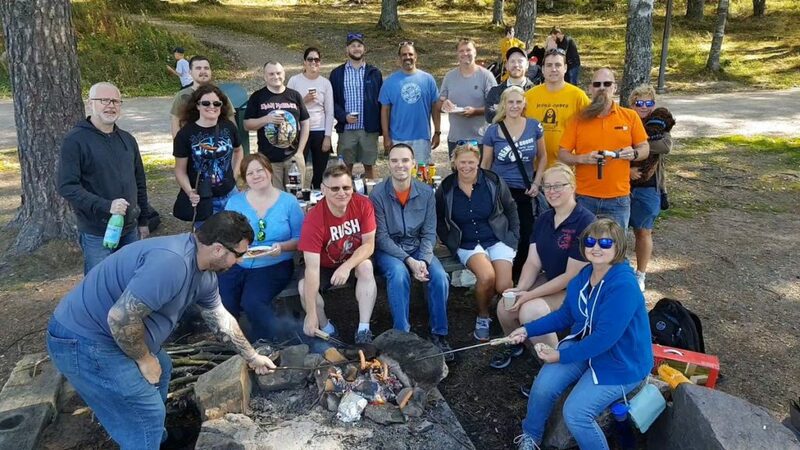 Our Bob Pusateri has been quite busy lately with SQL Server technical talks, and we wanted to highlight some of the in-person events that he’s spoken at. We love presenting for local technical user groups. 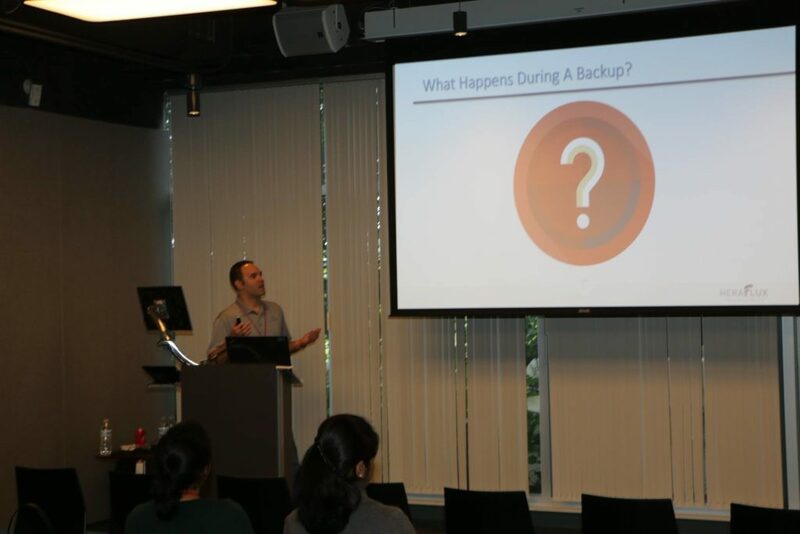 Back in August, Bob spoke at the Chicago SQL Server Users Group on August 9th. This session was his first session highlighting Microsoft’s global scale database – Cosmos DB – called “Select Stars: A SQL Server DBA’s Introduction to Azure Cosmos DB.” Bob also presented this session for the Chicago Suburban SQL Server Users Group on September 18th. We are also proud to speak at a number of SQL Saturdays. Bob spoke at the SQL Saturday in Oslo Norway on September 1st! Bob presented this Cosmos DB session at this event. His slides are available for you to download. Bob also presented at the SQL Saturday in Boston MA on September 22nd. This session was called “Supercharging Backups and Restores for Fun and Profit“, and his slides are available for you to download. Bob will be presenting at the Red-Gate SQL in the City Summit in Chicago on October 26th. This session is called “Maximize Availability and More with SQL Server Estate Monitoring“. Bob is also presenting at this year’s PASS Summit in Seattle during the week of November 6th. He is presenting two sessions – the Cosmos DB introductory session, and “SSMS & T-SQL Tricks: Working Smarter, Not Harder“. This conference is world-class and we want to see you there with us! If you want Bob or David to speak for your user group or SQL Saturday, contact us! Bob Pusateri from Heraflux is proud to present at this month’s Chicago SQL Server Users Group. Azure Cosmos DB has quickly become a buzzword in database circles over the past year, but what exactly is it, and why does it matter? This session will cover the basics of Azure Cosmos DB, how it works, and what it can do for your organization. You will learn how it differs from SQL Server and Azure SQL Database, what its strengths are, and how to leverage them. We will also discuss Azure Cosmos DB’s partitioning, distribution, and consistency methods to gain an understanding of how they contribute to its unprecedented scalability. Finally we will demonstrate how to provision, connect to, and query Azure Cosmos DB. 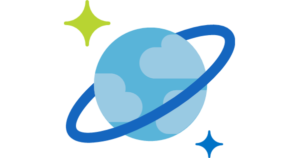 If you’re wondering what Azure Cosmos DB is and why you should care, attend this session and learn why Azure Cosmos DB is an out-of-this-world tool you’ll want in your data toolbox!